*** The Tunes, both in the Treble and in the Bass, are printed without alteration from the existing copies. 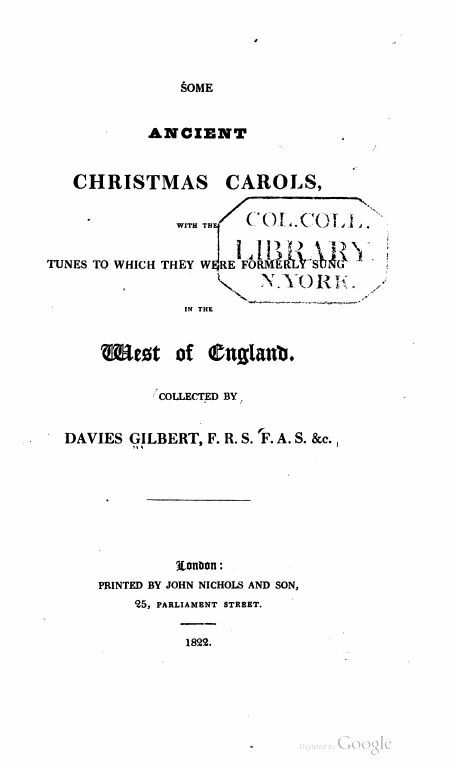 The 1822 volume was reprinted as an Elibron Classics by Adamant Media, Boston, 2002 (http://www.elibron.com/english/ ; ISBN: 1421262363). 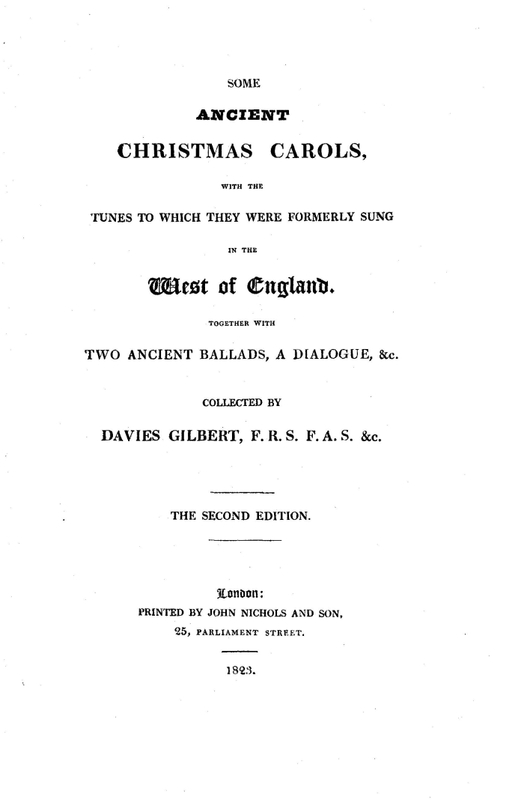 The first eight carols above were published in the 1822 edition, which has been scanned and posted at Google Books, Some Ancient Christmas Carols.